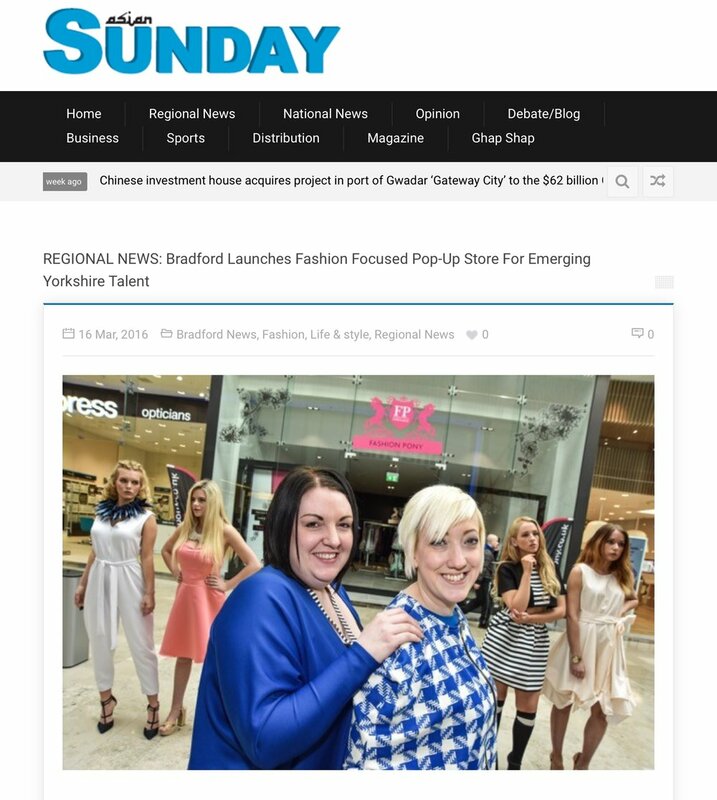 IDENTITY Range available at Veg Out Cafe Leeds! ZARAMIA AVA IDENTITY range includes; unisex oversized t-shirts, geometric necklaces in various sizes, lengths and materials, geometric pocket mirrors that come with ethical linen drawstring bags, and hand crocheted hats. All products are locally made, zero waste and sustainable. They come packaged in biodegradable branded cardboard boxes. 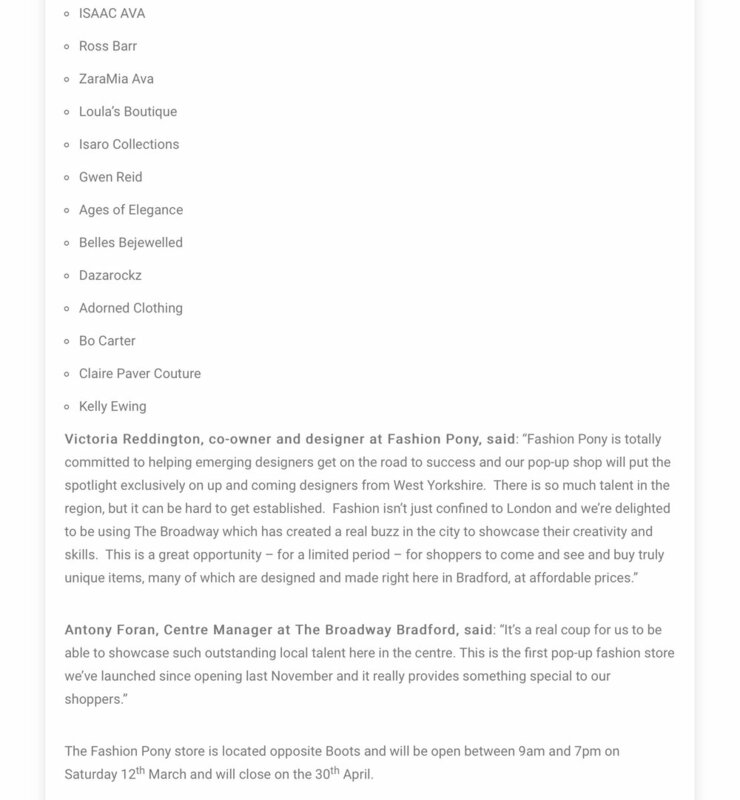 Nice bit of press about Fashion Pony’s Pop up shop at The Broadway Bradford.